Gatorade & water will be provided during the training sessions at all fields. We will have an athletic trainer on-site at all times. If you have any special medical or dietary needs, please speak with trainer at check-in. Please bring ankle braces as our trainers are not allowed to tape ankles. Registration 12:30 p.m. - 1:30 p.m.
*Commuters can depart the evening session from the field, if their parent is present. In the morning commuters should either arrive by 8:40 a.m. in the at the dorms or at 9:00am at the field. Please check with your coach the night before about which field you will be on in the morning. Check-out/pick-up: 11:30 a.m. - 12:00 p.m. Location: After we conclude the morning session, campers will walk back to the dorm for check-out. Commuters may depart from the field as long as their parent is present. 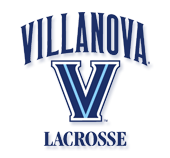 Check out this Lacrosse camp 'Elite Camp(Open to rising 9th grade- Incoming college freshman)' with Villanova Women's Lacrosse Camps & Clinics!